Superstar artist Ethan Van Sciver returns to the world of Green Lantern! 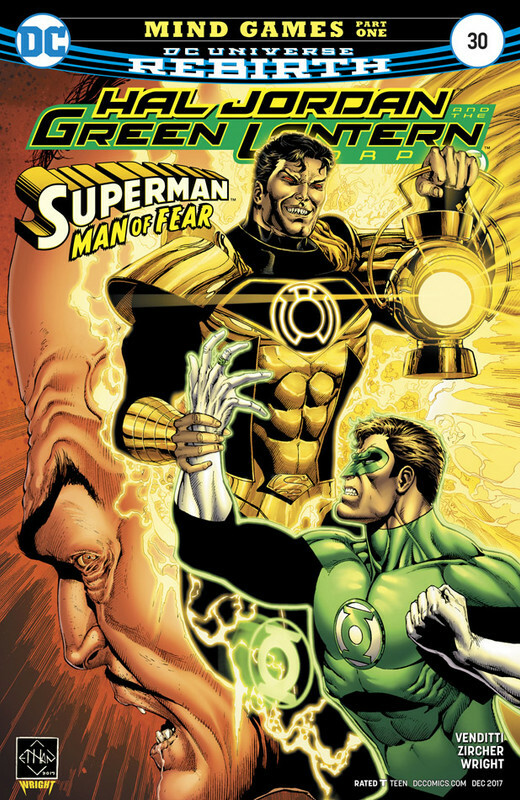 In the absence of the Green Lantern Corps, Sinestro and his fear-inducing Yellow Lantern Corps patrol the universe as its sole protectors - but deep in space, a green light still burns. Harnessing the remainder of his will, Hal Jordan must become a one-man GL Corps to defeat his greatest foe and restore freedom to the cosmos. Question, these are all named the same name when you try to DL (via Jdownloader) they overwrite themselves. What happened tot he numbers and such like they are listed here on the site? Actually looking at it it seems that when you click on the file joker links all the files have the same name. This is a MAJOR organizational problem. Also looks like it's doing this do to the length of the filename maybe? anyway to fix this when uploading? Seems JD plugin doesn't work with long filename(fetches file name from mid pages not from real name). Please download these from browser directly first. I will submit this problem to filejoker. Direct download gives me the actual file name. JD is taking the abbreviated name which for long file names, are all the same. Interesting. That I am not sure how to fix with JD. FJ has extended the length of filename shown on download page. Now you won't get duplicate filename throught JD.